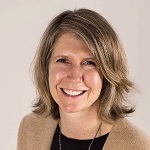 Michealene Corlett, Fishery Certification Program Administrator and Quality Manager - MRAG Americas, Inc.
Michealene Corlett joined MRAG in 2018 as a Fishery Certification Program Administrator and Quality Manager and is based in Seattle. She received a B.S. in Aquatic and Fishery Sciences with a minor in Quantitative Science from the University of Washington. Prior to joining MRAG Americas, Inc. Michealene worked with the Washington State Department of Fish and Wildlife monitoring Pacific salmon populations in the Lake Washington basin. She has an extensive background in project management, client relations and quality assurance.